Workshops can be done in the classroom, at a party, for a festival, etc. 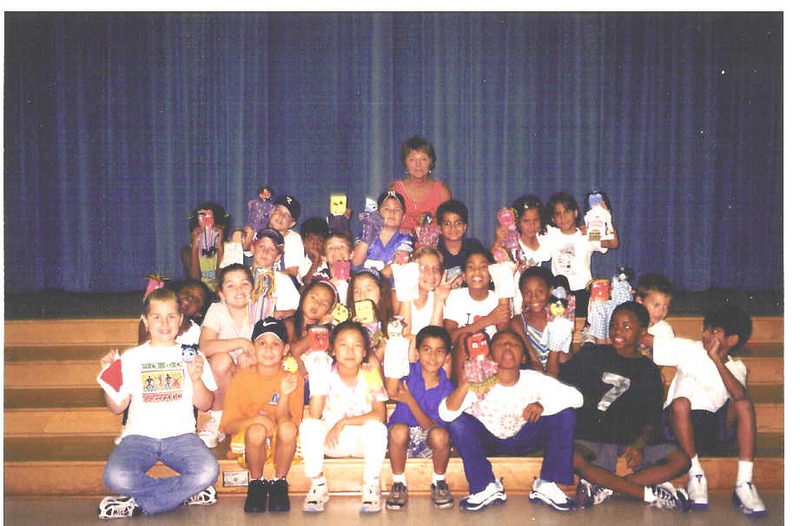 An elementary school class with the puppets they just made. In this workshop, one of our puppeteers will come to your church or organization, and teach puppet manipulation skills to your puppeteers. Honing basic skills such as focus, lip-synching, and use of rods will help your Puppet Ministry or Group bring your own puppets to life, and tell your stories more effectively. It can even be arranged for us to watch your group in action and give feedback.